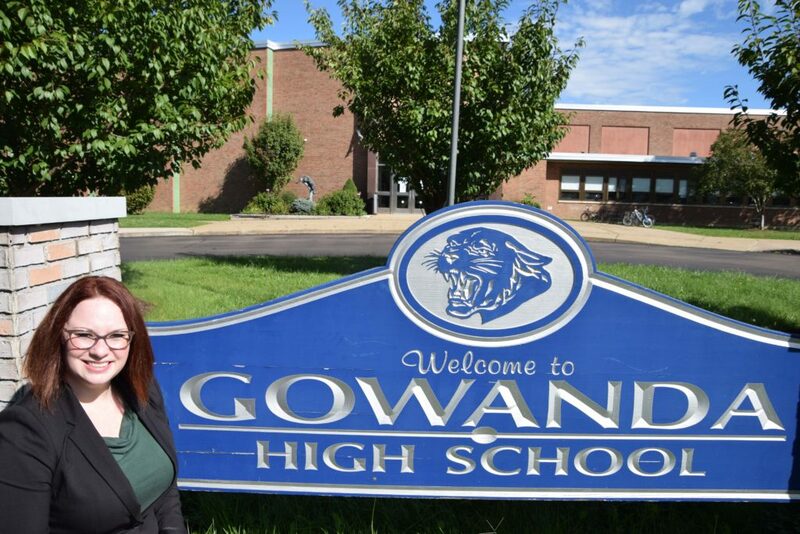 A new administrator has joined the Gowanda Central School District as of Tuesday, Oct. 9, 2018. Incoming High School Principal Rebekah Moraites was approved by the Board of Education at its meeting on Sept. 5, 2018. Moraites replaces Dr. Robert Anderson, who was high school principal for over a decade before being appointed district superintendent in June. Interim Principal Kevin Munro filled the vacancy at the high school for the first month of the 2018-2019 academic year as Moraites wrapped up her duties as a staff development specialist for Erie 2-Chautauqua-Cattaraugus BOCES. An Owego native, Ms. Moraites previously worked as a coordinator of student interventions at a charter school in Buffalo and as a high school English teacher in Rochester and Buffalo. She earned a bachelor’s degree from SUNY Cortland then earned master’s degrees in teaching and curriculum from the University of Rochester and in educational administration from the University at Buffalo.